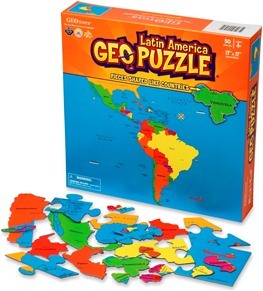 From Afghanistan and Belgium to Venezuela and Zimbabwe, multiple award-winning GeoPuzzles make learning geography fun! 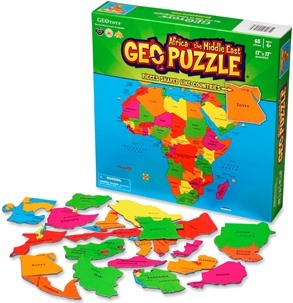 Each GeoPuzzle has pieces shaped like countries, and helps to build fine motor, cognitive, language, and problem-solving skills. 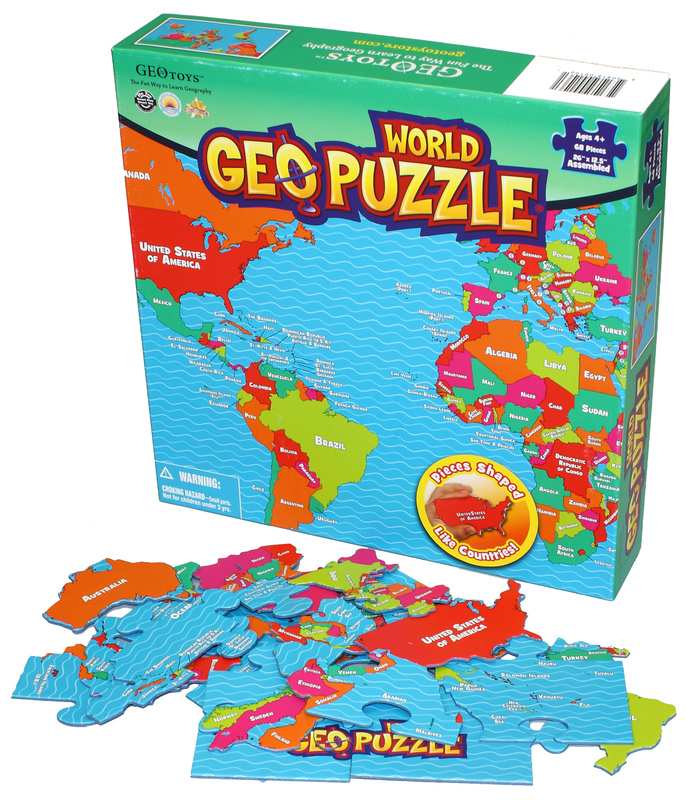 GeoPuzzle World has 68 pieces, with pieces shaped like individual countries and groups of countries. 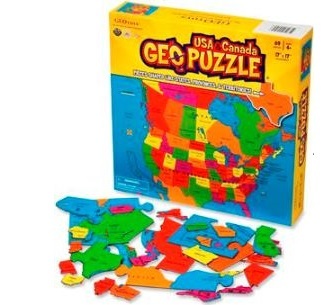 The outside of the puzzle forms a frame to keep the rest of the pieces, which are country-shaped, in place. 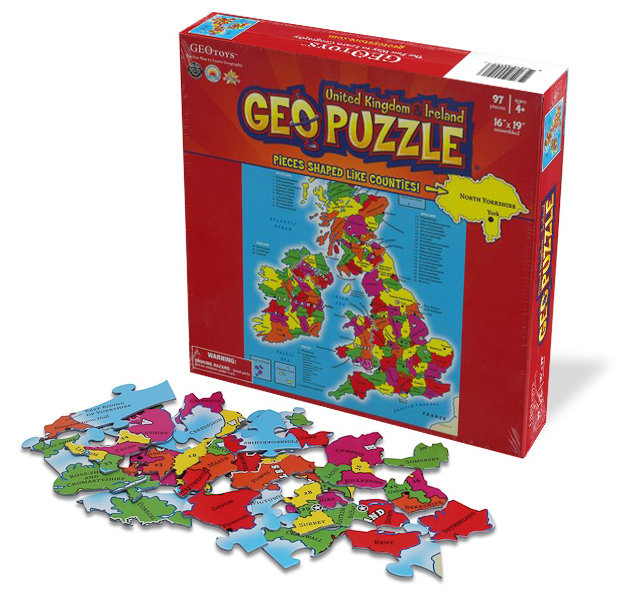 GeoPuzzle World is a jumbo-sized 660 mm x 315 mm (26 x 12.5 inches). 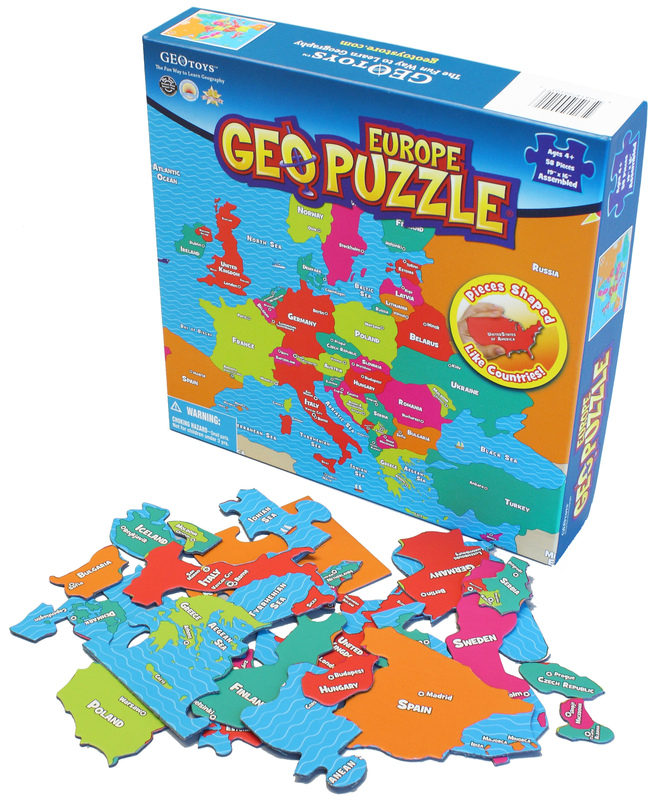 GeoPuzzle Europe has 58 pieces, and is a jumbo-sized 483 mm x 406 mm (19 x 16 inches). These jigsaw puzzles are made in Germany from recycled materials and are developed for children aged 4 and Up. Also available: jigsaw puzzle of UK & Ireland: 97 pièces and size 406 mm x 483 mm. 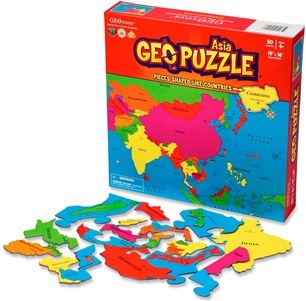 Also available: jigsaw puzzles of Asia, Africa, Latin America and USA – Canada. 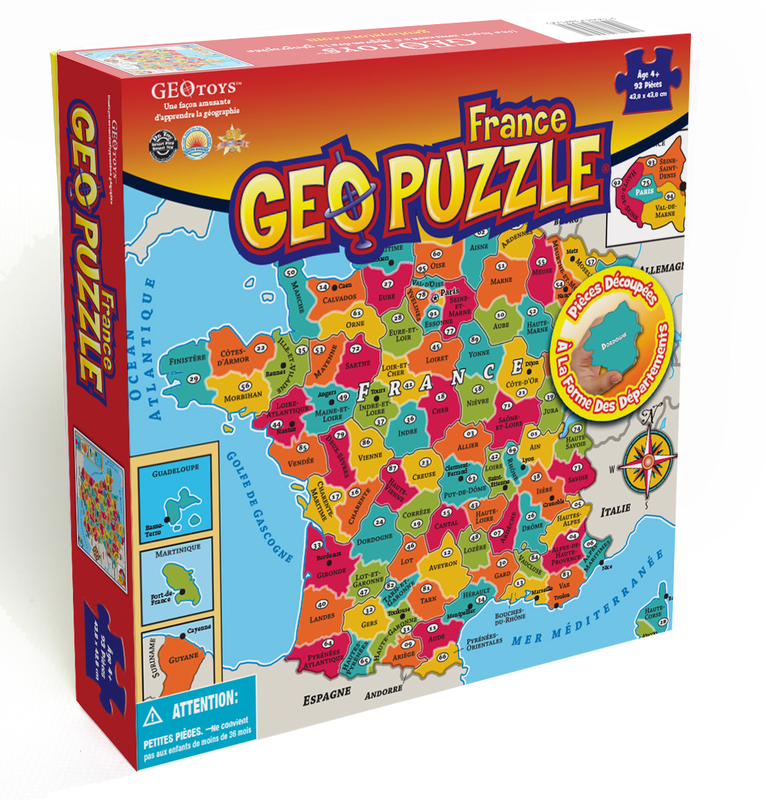 Also available: jigsaw puzzle of France: 94 pièces and size 438 mm x 438 mm (in French). These jigsaw puzzles are sold per box of 6 (price per piece in catalogue, please order by multiples of 6).